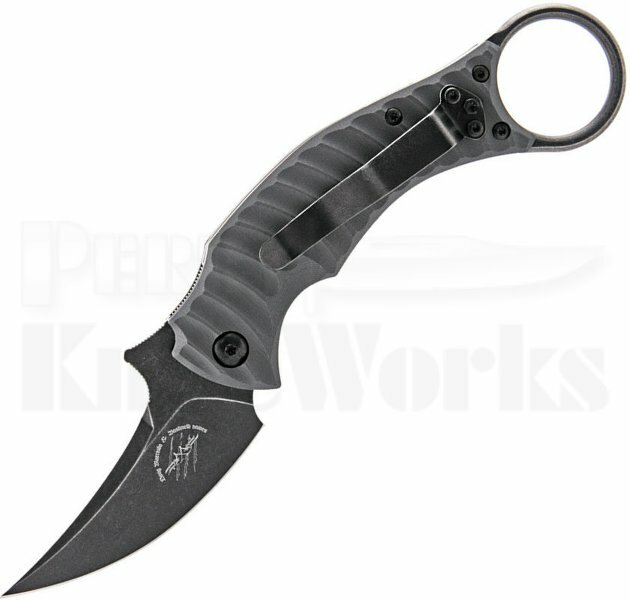 The Bastinelli Creations Mako folder features a tactical karambit style handle design paired with an upswept blade style. Its tactical blade is made from Bohler N690Co steel in a black stonewashed finish with Emerson style wave for quick easy opening. The handle has an ergonomic build with gray G-10 scales, a finger ring, and jimped thumb ramp for extreme security in hand. Made by Fox Cutlery Italy.